For someone that does not just drop a bag of disposable brewing in a cup of boiling water, but a whole philosophy, Ceremony & Lifestyle. To join the gourmets and connoisseurs of tea, many wonder - what kind of a better acquaintance with real tea taste, what tea best? Definitely this question is difficult to answer, because the tastes of very different, And each of the types of tea is famous for its many varieties. But first, we note, what the diversity of species and varieties of tea depends on its preparation technology and the most important thing - from the raw materials used. The more tea unopened tea buds, nail tips and young leaves of the uppermost, the more valuable it, because that they contain all of the most useful substances. Equally important is the while collecting (especially appreciated by spring), and location of a tea plantation, because for the successful growth of tea bushes need certain climatic conditions. Let's get acquainted with some of the famous and popular varieties. Varieties of green tea a lot, They are even difficult to list them all in a short article. To name just a few. Of Chinese green tea very famous is "Lung Ching" (dragon Well). Collection is carried out in the spring, collecting kidneys and hatched one or two leaf. The tea is prepared by hand, experienced craftsmen control all processes. Tea leaves resemble flattened seeds, tea aroma reminiscent of the smell of orchids, green color of the infusion, bright taste. insist 3-4 minutes before ostuzhennym 85aboutWith boiling water. The variety "Pearl" (Tyucha, gun powder) least popular. Its granules resemble gunpowder pellets. tea toniziruyushtiy, amber color, pungent taste, refreshing. Grade "Huangshan Maofeng" (Fleecy mountain peaks of Huangshan) It named after the peaks of eastern China. 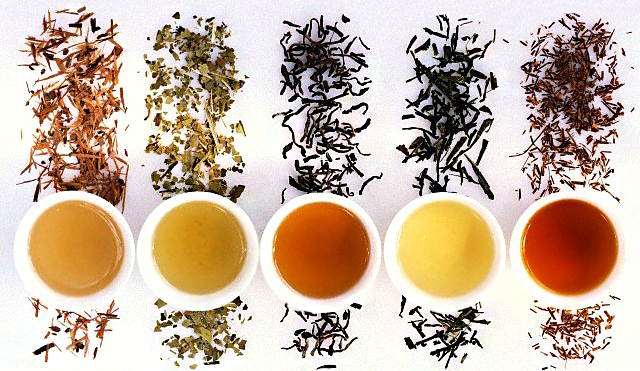 Collection is carried out in the spring, tea leaves resemble tongues, infusion of fragrant, floral, sweet and strong. Japanese green teas - is the famous "Sencha", "Match", Gjokuro '. Varieties of white tea is very small. This is due to the fact, you need a rare and expensive raw materials for its production, manually collected. known varieties: "Silver needles" (Bai Hao Yin Zhen), "White Peony" (Bai Mudan). Tea is particularly tenderness and delicacy, It consists of collected manually apical buds and tender, tolьko prokljunuvşegosja listika, hoary. Water for brewing should be cooled down after boiling up 70aboutWITH. yellow tea differs, that the raw materials - choice early kidney - exposed longing, these teas are produced only for Emperors were prohibited to be exported from the country under penalty of execution. It is known to a few varieties: "Jun Shan Yin Zhen" (Silver Needle with Mount Immortals), "Huo Shan Huang Z" (Yellow tips from Mount Hoshan). The infusion has a fine range of taste and aroma, yellowish. red teas (Oolong, oolongi) occupy the middle ground between green and black teas. According to the manufacturing techniques are considered the top of the Chinese tea art and feature varying degrees of oxidation (fermentation). There are varieties with weak, medium and high degree of fermentation, their production to include 10-12 processes. Popular varieties: "If Hun Pao", Dundo, Oolong,, "Nai Xiang Jing Xuan" (milk oolong), 'Baikhao oolong', "Huang Zhi Xiang", «Fungus», "Formosa oolong" and many others. 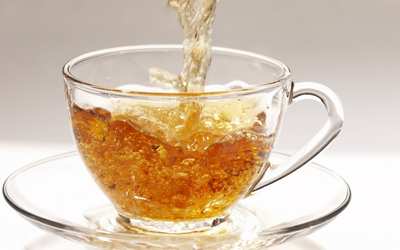 trendsetters for black tea are, certainly, English. therefore, of black teas can safely recommend such traditional teas, as "English breakfast", "Irish breakfast", "Assam", "Royal mixture", "Earl Gray", "Tea Queen Mary" (Darjeeling tea with hints of nutmeg) etc. From popular Chinese Dian Hong, Lapsang Susong Dr.
Do not forget, that there is a fine flavored teas, tea with pieces of fruits and berries, can do for you they are the best? A separate niche of the legendary Chinese tea, "Puer". The Chinese themselves refer it to black tea and very honored. It has a distinctive taste and is therapeutic, It helps with many diseases and invigorates. 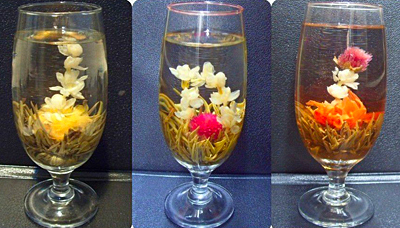 interesting elite, collectible teas, and special, exotic teas (eg,”Blooming tea”), made by hand, when in boiling water before you dry out and unprepossessing suddenly pompom reveals a beautiful flower. It should be noted, Some teas are not cheap, to choose a variety to taste, It is necessary to try a lot of tea, so the tea shops often offer special tea collection for beginners gourmet, sometimes with discounts. This is usually a selection of 4-5 the most interesting and the best teas of 50 g. For advanced gourmets and collectors also have similar test sets of gourmet teas. try, compare, look for your taste. they say, that the way to the magical country of tea starts with milk oolong, and ends Puer. Which tea is better - you choose. Happy Travel!